After Saint Nicholas made his entry over the weekend both in Germany, the Netherlands and Belgium (see our related coverage), the time of Christmas Markets can traditionally start. As from next weekend until 5 December it will focus partly on Saint Nicholas, as from 6 December it will be Christmas based all the way. Germans usually wait till the passing of Saint Nicholas to purchase their Christmas tree. Related coverage: <a href="http://thegoldwater.com/news/42547-Holland-Saint-Nicholas-Season-Start-Sees-Black-Pete-Demonstrations">Holland - Saint Nicholas Seasons Start Sees Black Pete Demonstrations</a>. However, the Christmas markets themselves look and feel quite different this year. 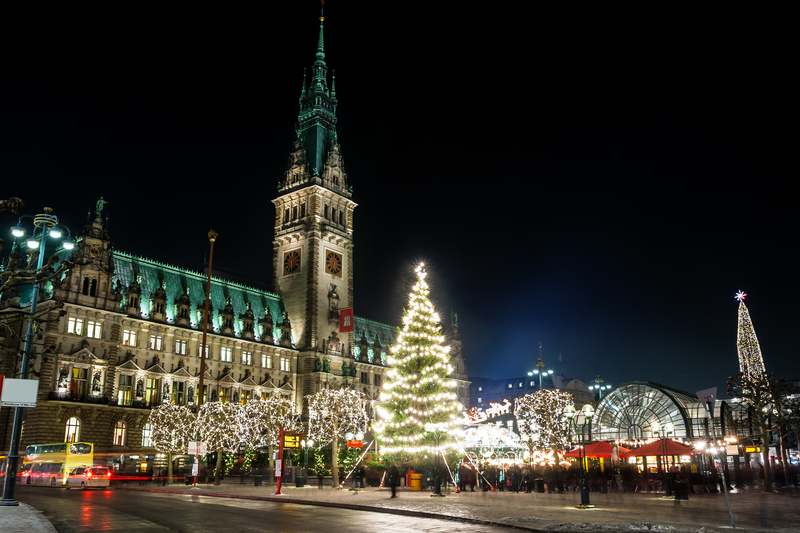 Christmas markets in the German state of North Rhine-Westphalia will be even better physically protected against attacks with vehicles this year. The Christmas markets are set to attract hundreds of thousands of visitors. Although the risk of attacks has not increased according to the police, almost all Christmas markets have improved their physical security measures. For example, in Bochum sandbags have been replaced by 86 water bags that can stop trucks. The city has also purchased special barricades that have proven their value in Israel. These barricades deform when a vehicle is approaching, but can also be opened if, for example, a city bus has to pass through. In Duisburg where the Christmas market has already started, 25 red-white striped concrete pillars block the streets. In addition, fixed poles are under construction at various locations. In Hagen they stick to water bags. In Dusseldorf, more and more uniformed and security officers are being deployed in civilian clothing. Furthermore, concrete blocks will be placed around the Christmas market this year. In Cologne where the Christmas market starts Monday, November 27, visitors with suitcases, trolleys and large backpacks are not welcome. In December of 2016, twelve people were killed in an attack with a truck on the Christmas market in Berlin. A memorial plaque was unveiled at the commemoration of the victims, one year after the event. In this town, the Gedächtniskirche is experimenting with numerous security measures when the market opens. There are metal poles, steel baskets with sandbags and concrete poles. Like most other Christmas markets in Berlin, the opening is foreseen for 26 November. I am surprised Merk is even allowing Christmas.